Children’s book icon Margaret Wise Brown – writer of the cherished classic Goodnight Moon – and Caldecott Medal-winner Leonard Weisgard bring young readers an enduring picture book about the magic of nature. 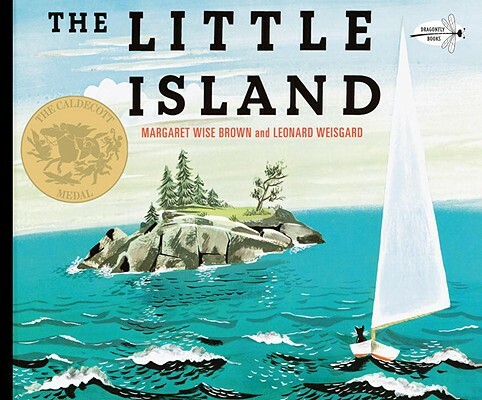 Winner of the 1947 Caldecott Medal, this beautifully moving story centers around a little island in the midst of the wide ocean, and the curious kitten who comes to visit. As the seasons pass, the island and the creatures who call it home witness an ever-changing array of sights, smells, and sounds – proving that, no matter how small, we are all an important part of the world. Margaret Wise Brown (1910–1952), best known as the author of Goodnight Moon, wrote countless children’s books inspired by her belief that the very young are fascinated by the simple pleasures of the world around them. Among her many bestselling books are The Little Island, The Golden Egg Book, The Color Kittens, and The Sailor Dog. Leonard Weisgard (1916-2000) was a beloved and award-winning illustrator of more than 200 children’s books, perhaps best known for his collaboration with the author Margaret Wise Brown. His books include The Little Island (for which he won the Caldecott Medal in 1947), The Golden Egg Book, and The Golden Bunny.